Gamblogger: All I Want for Christmas is... a $182,782 Jackpot Win LIke This Guy at Slotland! All I Want for Christmas is... a $182,782 Jackpot Win LIke This Guy at Slotland! With all the extra expenses we have this time of year, wouldn't this be a great time to win a progressive jackpot? Well, that's exactly what happened to one lucky Slotland player. Charles N. got an early Christmas present the other day when he hit the jackpot on the deluxe Ice Queen slot game and won $182,782. Many jackpot winners spend their jackpots on fast cars and luxury travel but this jackpot winner says he plans to just enjoy the small things in life even more. Introduced just last Christmas, Ice Queen is a sparkling winter fantasy from the pages of Hans Christian Andersen with a magical Bonus Game. The boy, kidnapped by the Ice Queen in the classic fairy tale, and the sister who struggles to rescue him, appear in the beautifully illustrated and animated Bonus Game. Players choose a magic wand for them to shatter ice statues – and win extra chips. 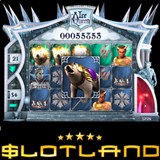 A favorite in the instant play online casino, Ice Queen is also one of more than a dozen mobile slots that have been especially enhanced for iPhone, Android and Blackberry. Bobby S. was the last big jackpot winner at Slotland. He had also been playing Ice Queen but had switched to an old favorite, Heavy Metal, when he hit a $135,417 jackpot.